I’On, located in Mt. Pleasant, is a special neighborhood that is reminiscent of the beauty and charm that is so beloved in downtown Charleston — but without the narrow streets and lack of parking! 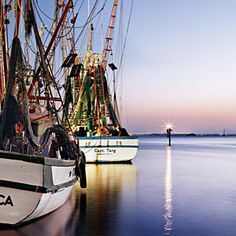 A halfway point between downtown and Sullivan’s Island, I’On is nestled in a world of its own, where families thrive. 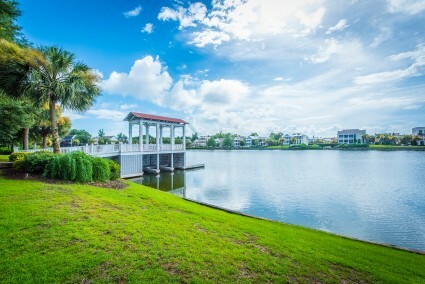 Founded in 1995, I’On is a village of sorts, with nearly 800 single-family homes, a square, six walking trails, and a grid full of narrow, quiet streets, lakes, green spaces, and so much more — like crab docks, a dozen pocket parks, a boathouse, spa, marsh views, and a wildlife refuge. And the name? “I’On” comes from Jacob Bond I’On, the first mayor of the town of Sullivan’s Island. As simple as it may sound, families relish living in a place where it’s safe to roam the streets, particularly here where there’s also plenty of sights to take in at every turn — like gates and gardens, yards and unique fountains. The sidewalks are wide, and so you’ll find that the residents’ feet are their favorite modes of transportation. 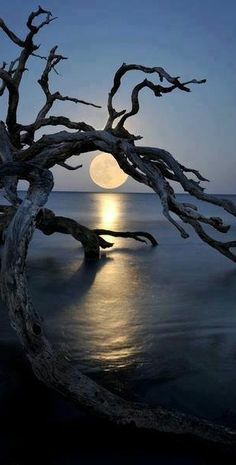 I’On also has six trails, some of which are up to three hours long and cover eight miles of, including a 1.5-mile stroll along the marsh that can be ended with a beer at O’Brions Pub or a glass of wine at Grazi’s Shoe Cafe and Wine Bar. 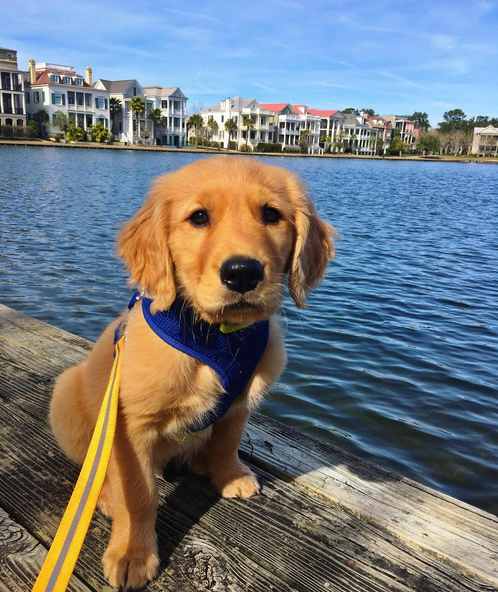 Who wouldn’t love living in walking distance of a body of water? 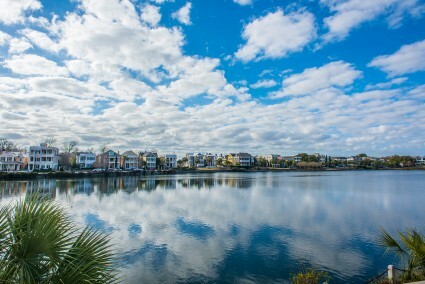 Here, you’ll find Westlake, which also features an amphitheater that comes in handy for all kinds of family-friendly neighborhood events, and Eastlake, which is surrounded by beautiful houses and perfect for walks with your furry friends, fishing and feeding ducks. 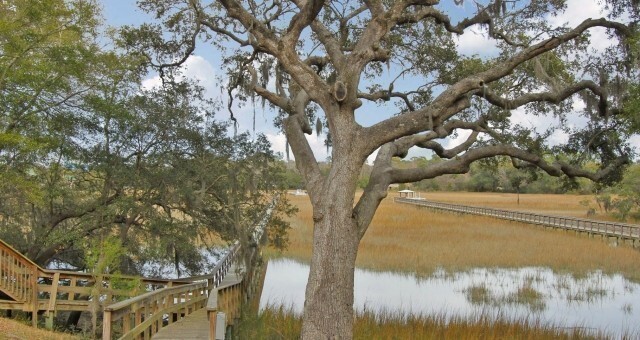 Plus there are picturesque creeks, sure signs you’re in the Lowcountry. There’s also tons of green space (and playgrounds!) here for both kids and pups to play in and the Rookery Wildlife Refuge, which features two observation towers. 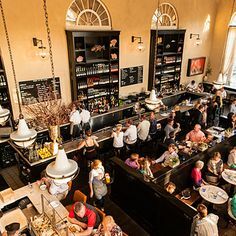 Besides the wine and beer spots, the Square also features an adorable gift shop called Sweet Olive and a cafe full of gourmet eats at Square Onion, where soups, salads, sandwiches, take-and-bake casseroles, desserts, and dips reign supreme. But if you want a cup of coffee, the best is only right outside the neighborhood at Collective Coffee. It’s an airy, hipster-y joint with the perfect cups of joe. Not only is it common to know your neighbor here, but you’ll probably know every dog’s name in the area, too. Kids meet up at playgrounds, parents chat on front porches, and the whole of the community seems happy to be here. Interested in making I’On your home? Check out what is currently listed for sale. Or contact one of our experts at our Mt. Pleasant office. 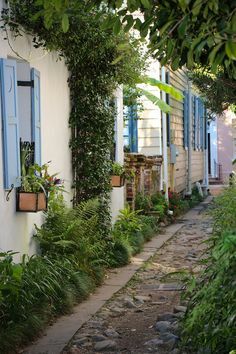 There are so many wonderful neighborhoods in Charleston and if I knew about them all before I moved here, I don’t know that I could have made a decision as to where to live. See, I’m the just take a leap and go kind of gal. I moved here site unseen. We found a great little place in old Mount Pleasant (up a bit from the Old Village) and nearly 14 years later, I can’t imagine calling anywhere else home. You could do man on the street interviews anywhere in town and ask what Charleston area is the best to live in and most people will rave over their own neighborhood. I’m not any different. I love that I can walk a few blocks or less to get a beer, a great sushi dinner, pick out a new area rug and fabric for reupholstering my sofa, grab a latte, have a picnic with a harbor view, buy a new outfit, hit up Pitt St. Pharmacy for a wonderful Cherry Coke or ice cream, and more! 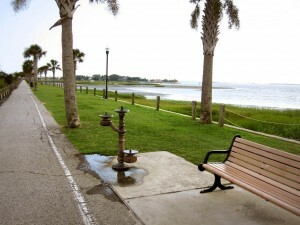 Fourth of July is awesome because I can ride by bike down to the old Pitt Street Bridge (which is now a beautiful little park- like area) and see the fireworks from the Isle of Palms, James Island, and Mount Pleasant. And before the Christmas parade that goes down Coleman, there is a fireworks display that beats Fourth of July’s. Old Mt. 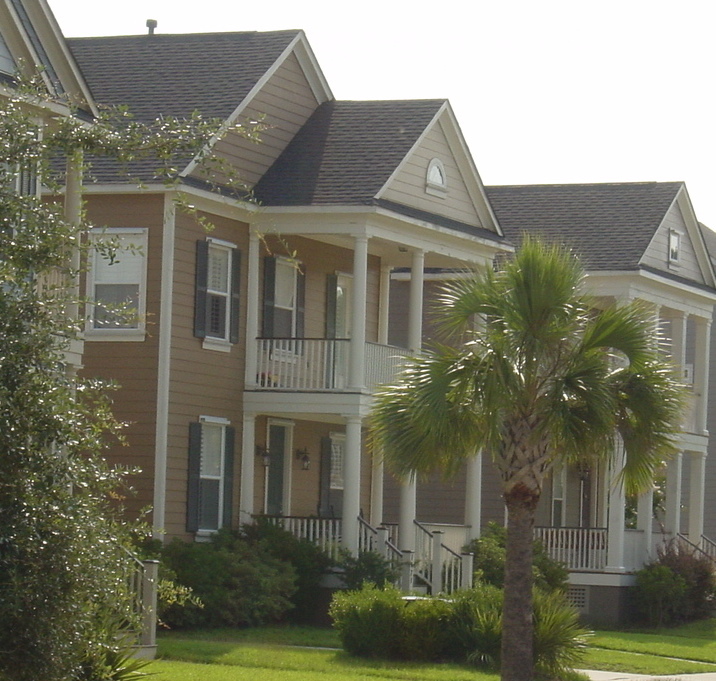 Pleasant is kind of in the heart of everything- we’re close to downtown, West Ashley, and the beaches of Isle of Palms and Sullivan’s Island. It’s pedestrian and bike friendly, fragrant blooms fill many yards as you walk past you can smell them in the air, and it’s a place where people pass you by and say “Hi.” There are dogs being walked, kids riding bikes, moms and dads taking their babies for a stroll, joggers and power walkers. Old Mount Pleasant is home and more importantly, it feels like home. I really can’t imagine living anywhere else. 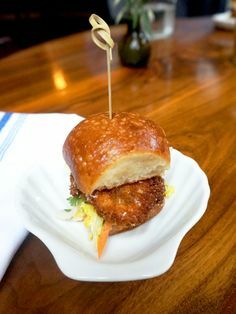 Check out 120 Wando Reach Court. Our new listing in River Reach at Remleys Point, one of the more exclusive Mount Pleasant neighborhoods. This 5 bedroom, 4.5 bath home is 4939 sqft. and just must be seen to be believed. Lots of unique touches make this a wonderful home. Offered at $2,499,000. Listed by Joe Walker and Donnie Whitaker of dunes properties®. We're sorry, but we couldn't find MLS # 1302879 in our database. This property may be a new listing or possibly taken off the market. Please check back again. Fabulous Mount Pleasant Home- New Price Reduction! In the self contained Seaside Farms subdivision there is a lovely single family home for sale- 1216 Palmetto Peninsula Drive. It has been reduced to $415,000. 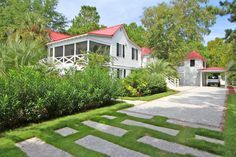 Seaside Farms is truly a gem in Mount Pleasant, SC. 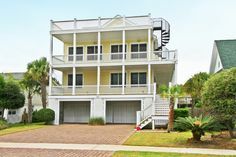 A jog away from the Isle of Palms beach, minutes from the Sullivan’s Island beach and Town Centre shopping center with movie theater, shops and dining. In the Seaside Farms subdivision itself is a grocery store (a fairly new Piggly Wiggly), restaurants, Target and more! 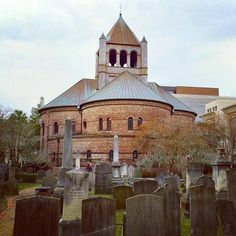 Plus historic downtown Charleston is a 15-20 minute drive away. And don’t forget the amenities of Seaside Farms-a community pool and play park as well as nice jogging/walking trails. So we’ve established Seaside Farms as a wonderful, convenient neighborhood. Now what about the lovely home? At a reasonable $159.62 /sq. 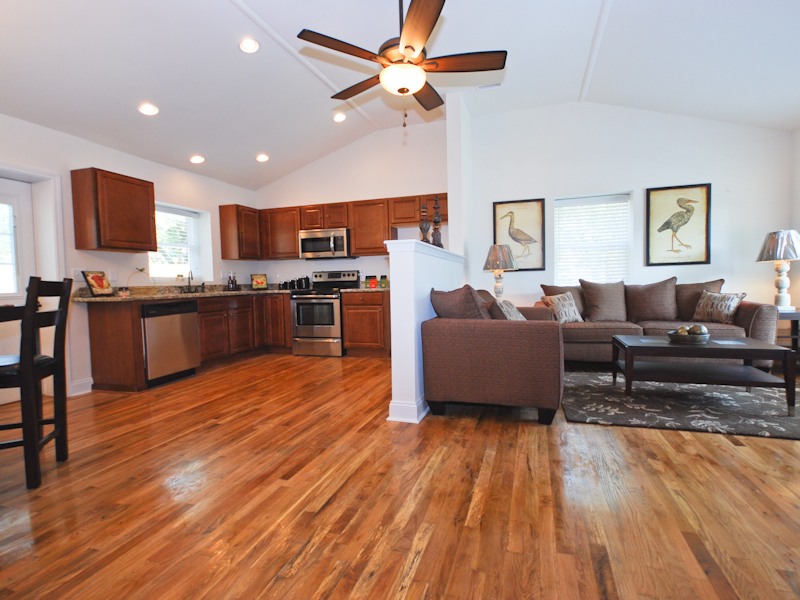 ft. it is well below the average $190.90/sq. ft. the active single family detached homes in Seaside Farms are listed at as of today. 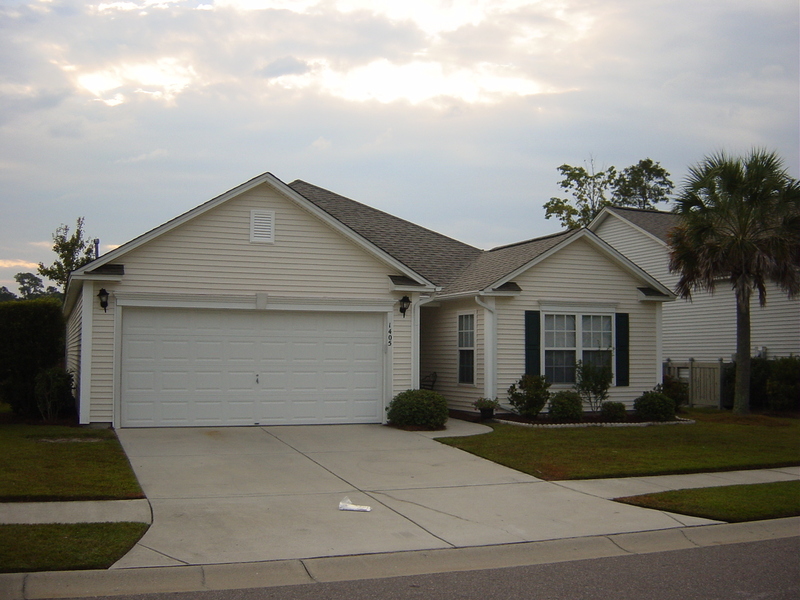 1216 Palmetto Peninsula Dr. is a 4 bedroom, 3 1/2 bath home with a spacious two car garage. It is 2,600 square feet. It is very well maintained and features a very spacious floor plan with high ceilings, lots of natural light and privacy. It’s all on one easy-living level- no stairs except at the front porch. Four bedrooms, dual masters, screened porch, deck, separate laundry room, immaculate oak hardwood flooring in the foyer and living/great room and dining area, updated carpeting in the bedrooms, beautiful slate tile in the kitchen and laundry, new bronze hardware on the kitchen cabinets, gorgeous granite on the kitchen counters and the island has an overhang to allow for extra seating, plus freshly painted walls in the kitchen and powder room. New fans are in teh great room along with added recessed canned lighting which is also in the kitchen. If that wasn’t enough, the home is on a large lot with wonderful landscaping and mature trees right by the quaint pond. The neighborhood pool is a stone’s throw away from 1216 Palmetto Peninsula Drive. Next to the pool is a gated play park. This is a wonderful home in a fantastic neighborhood. Call Suzi Baldrick today for more information on this great opportunity to own in Mount Pleasant! 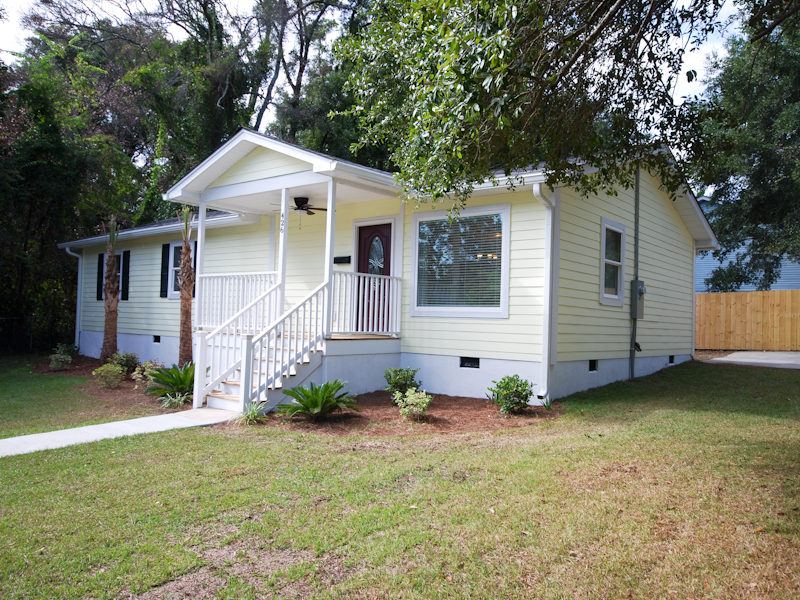 Suzi Baldrick- sbaldrick@dunesproperties.com , (843)442-3149. I did a little research this past week on the real estate market in Mt. Pleasant and learned a couple of interesting things about the Mt. Pleasant real estate market. 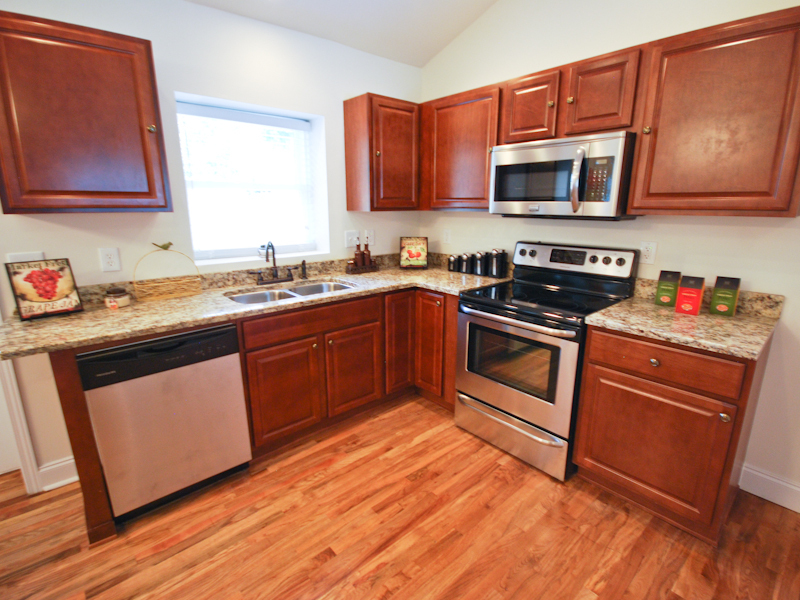 In the local multiple Listing Service (MLS) Mt. Pleasant real estate is in two sections; properties south of Hwy 41, and properties north of Hwy 41. The total number of homes listed for sale in all of Mt. Pleasant (both parts of MLS and both attached and detached homes) is 1159. This is a moving target, so the numbers will be different slightly this week. Of those homes listed there are 264 that are listed as contingent, meaning their under contract but area in the process of clearing those contingencies. Of these, some may not clear all contingencies and will return to the active status. The numbers show about 18.6% of the listed homes for sale in both sections of Mt. Pleasant are under contract. Looking at the Median Prices provides some additional information that can be telling. For the area north of 41, the Median Price for all homes listed is $450,000, while the Median Price for the homes that are contingent is $315,000. A difference of $135,000 below the Median Price for all Listed detach homes. For homes listed in the south area below 41 the Median Price is $469,950, while the Median Price for the homes that are contingent is $372,500. A difference of $97,450 below the Median Price for all listed homes. Attached homes have a lower Median Price, but show a similar trend. In the north area above 43, Median Price is $212,200 while the Median Price of contingent homes is $199,000. In the south area Median Prices for all listed homes is $229,945 while the Median Price for contingent homes is $156,500. In all cases, the Median Prices show that the homes under contingencies have Median Prices well below the Median Price for all listed homes, both attached and detached. Since these homes are active contingent, the Median Price reflects the listed price at the time the home was classified as active contingent in MLS. The actual price paid is not reflected in any of these numbers. The take away is that in this market, homes need to be price aggressively or buyers will look to properties that are! Buyers have more choices and will not look at homes that are not aggressively priced. A professional real estate agent knows the local market and is in the best position to help their clients price their homes competitively for that market. We are professional Realtors and know the market in Mt. Pleasant. If you have questions about real estate in Mt. Pleasant, or you are looking for help buying your next home, or selling your current home, call us. If you know someone who may have questions, have them call us. Today, local Mitchell Elementary School will be visited by Jared the Subway spokesman. He is in town promoting healthy eating habits for children. There will be a 2pm assembly at the school and after that Jared will be walking the Ravenel Bridge from 3:30-4:30pm with a group of teachers who walk the bridge daily. I have always been a fan of Subway. As a vegetarian for the last 24 years, it was one of my very few fast food options. To my delight there happens to be one right down from my office on the Isle of Palms. 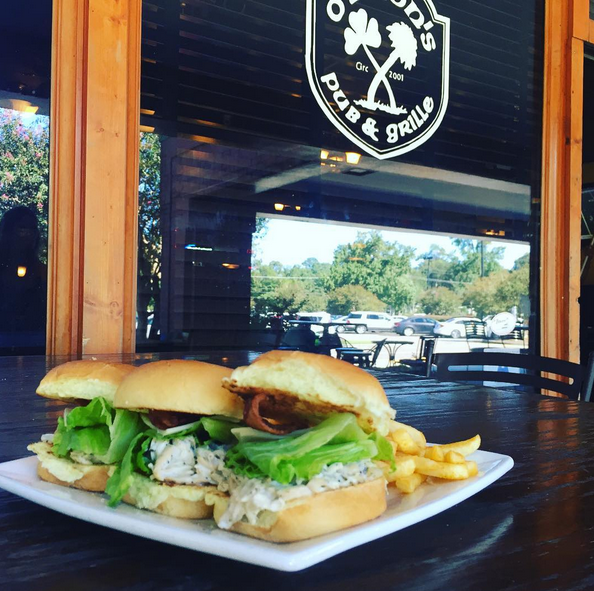 There are lots of fabulous dining options on and very near the Isle of Palms but sometimes you just want that quick $6 lunch. 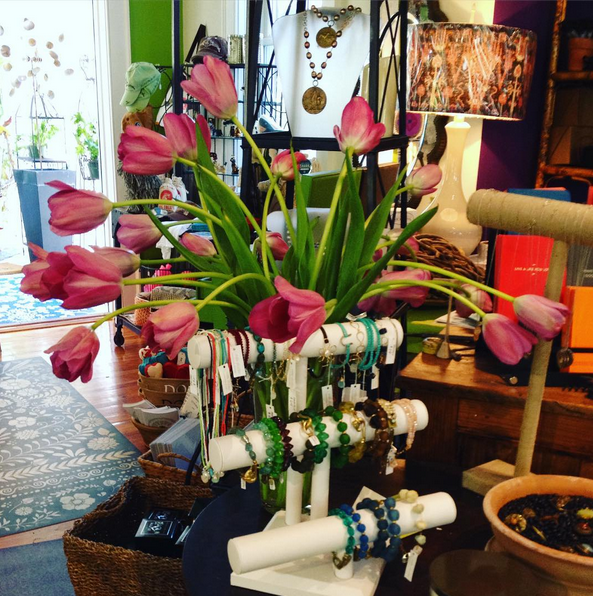 – Rebecca, administrative assistant extraordinaire!